Centenary house rebuilt with originality, who once served as stables where the animals stayed overnight. It is located on a high overlooking the valley, where the peace and nature reign. Around the property there are several hiking trails, being able to enjoy the natural beauty of the mountains. 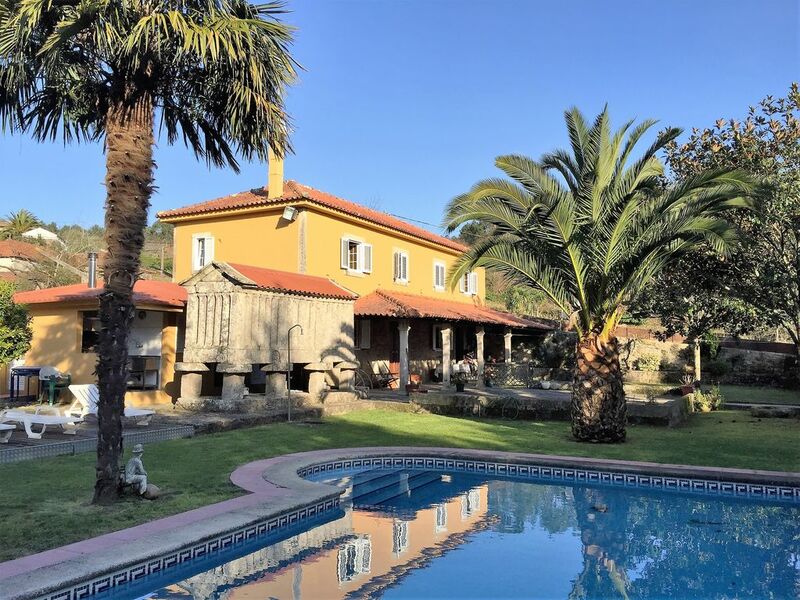 The property is located in Paredes de Coura, Viana district of Castelo, Minho. Paredes de Coura is a village where the air is pure, abundant water and the amazing fertility. The bathrooms are spacious and renovated. Maison idéale pour des ados (-17 ans) : piscine+billard+baby foot+panier de basket. A Paredes de Coura centre : 2 petits supermarchés. Petite préférence pour le mini preço. La plage fluviale de P. de C. est sympa mais optez de vous y rendre qd il fait très chaud. Les qques points à prendre en compte : 40 mn pour accéder aux plages, 40 mn de trajet pr Braga, Vilanova do Conde, Ponte de Lima, 1h30 de St Jacques. Nous recommandons vivement. Y avons passer de très bons moments en famille.